In small bowl, mix honey, mustard and cloves. Sprinkle onion salt and pepper over pork chops. Heat 10-inch nonstick skillet over medium-high heat. Add pork chops; cook 3 minutes. Turn pork. 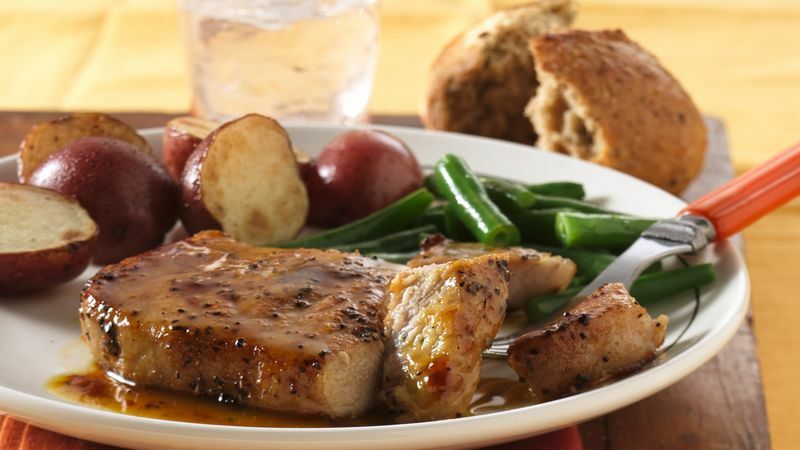 Reduce heat to medium-low; pour honey mixture over pork chops. Cover; cook 5 to 8 minutes longer or until pork is no longer pink and thermometer inserted in center of pork reads 160°F. Garnish with orange slices.